Many dogs love going to the groomer, others merely tolerate it and some dogs suffer greatly from anxiety. Jaimee and Angela will work hard towards making sure your anxious fur baby learns to trust and enjoy their grooming visit. 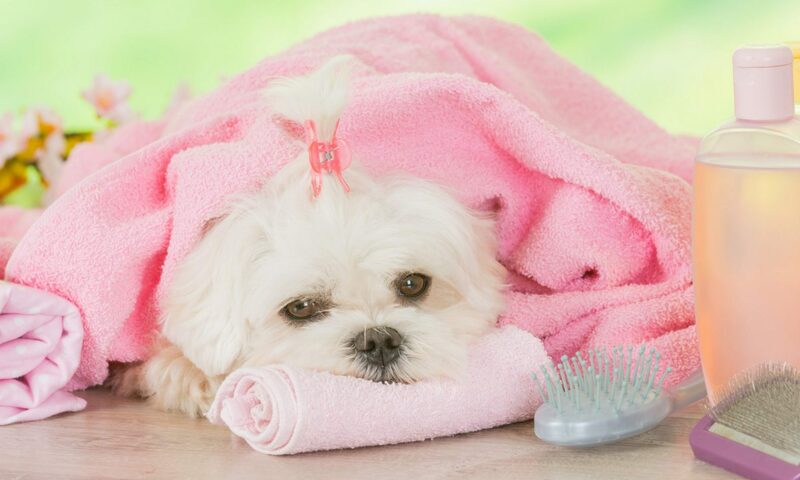 There are a number of reasons as to why a dog may be anxious about being groomed. It may be because they have had a bad experience with a groomer in the past, or they may be frightened by the sound of the clippers or dryer, they may be anxious from the different smells and environment in the grooming salon and it may be just because they are anxious by nature. Jaimee and Angela groom quite a few anxious dogs that have been turned away by other groomers, they believe that with time, reassurance and effort most dogs can be encouraged to at least tolerate grooming. Your four-legged family member can not tell you what goes on at the groomers after you have dropped them off, so it is paramount that you find a groomer that you can trust and form a relationship with. Please read through some of our testimonials. Jaimee and Angela are happy to meet with you and answer any questions you may have in relation to your anxious pet. On the rare occasion if a dog is just too stressed or anxious and is at risk of hurting itself or their groomer than Jaimee and Angela will call you to collect you fur baby and advise you seek your veterinarian’s advice.